Western Blot analysis of RGS20 expression in transfected 293T cell line (H00008601-T01) by RGS20 MaxPab polyclonal antibody.Lane 1: RGS20 transfected lysate(26.51 KDa).Lane 2: Non-transfected lysate. RGS20 monoclonal antibody (M04), clone 3E10. Western Blot analysis of RGS20 expression in NIH/3T3 ( Cat # L018V1 ). 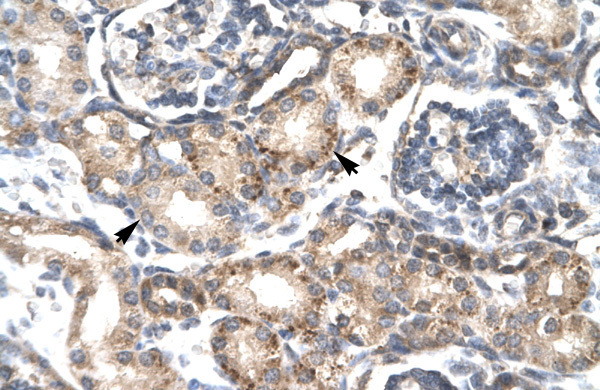 RGS20 MaxPab rabbit polyclonal antibody. Western Blot analysis of RGS20 expression in mouse spleen. Western Blot analysis of RGS20 expression in transfected 293T cell line (H00008601-T02) by RGS20 MaxPab polyclonal antibody.Lane 1: RGS20 transfected lysate(27.10 KDa).Lane 2: Non-transfected lysate. 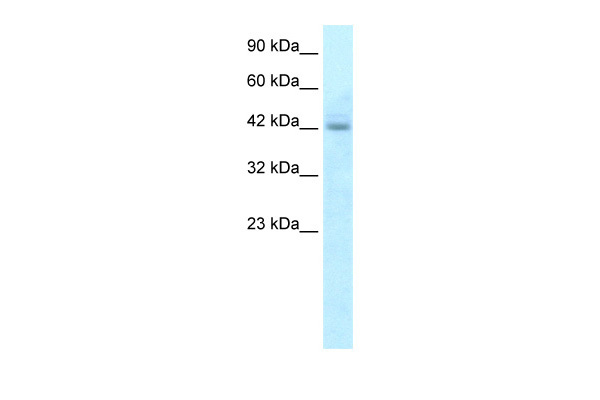 Immunoprecipitation of RGS20 transfected lysate using anti-RGS20 MaxPab rabbit polyclonal antibody and Protein A Magnetic Bead (U0007), and immunoblotted with RGS20 MaxPab mouse polyclonal antibody (B01) (H00008601-B01). 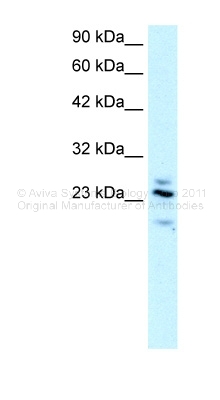 Western blot analysis of RGS20 expression in HEK293T (A); NIH3T3 (B); H9C2 (C) whole cell lysates.